Remember that you can and should still play at home, and with friends! We will also be adding a new wrinkle this year with each member of the Hartman Group breaking down points in an episode, with each of the seven core participants responsible for three episodes! 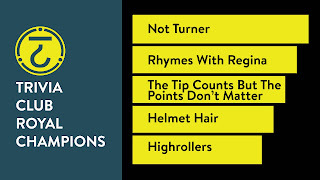 In the five previous seasons this was solely my responsibility, and though I will still be putting together the posts on the episodes I am happy that everyone that has been invested in SNL Fantasy League since the beginning will get a turn on building our sixth season of this strange and wonderful experiment. Joining three-time Hartman Trophy winner Matthew S. and The Ignorant Sluts, myself Russel H. and the Billion Dollar Murrays, Brian E. and The Team You Wish You Hadn’t Started A Conversation With At A Party, Kevin M. and The Not Ready For First Place Players, and reigning Hartman Trophy winner Rob M. under the new team name Hunter The Hungry’s Gotta Eat in our own little Five Timers Club with their fifth season of Saturday Night Live Fantasy League is previous Hartman Trophy winner Megan McKay and War Horse Can Dance ,and Sarah R. and Holtzwomenn! Thank you both for being the Candice Bergan, making sure this isn’t some boys club! Megan M. began in Season 40 as part of the first new group in our Fantasy League, before joining the Hartman Group in Season 41 and winning the Hartman Trophy immediately, while Sarah R. has been a part of Hartman since year two of our Fantasy League as the first new member of the Group! With all that said, here are the Cast Draft results, and prospective Host Draft results, for the Season 44 Hartman Group! As per an updated McKinnon Rule, Kate McKinnon was unable to be drafted this season to provide a better overall balance to all teams. To that effect the Baldwin Rule now also made Alec Baldwin unable to be drafted in both the cast and host drafts. 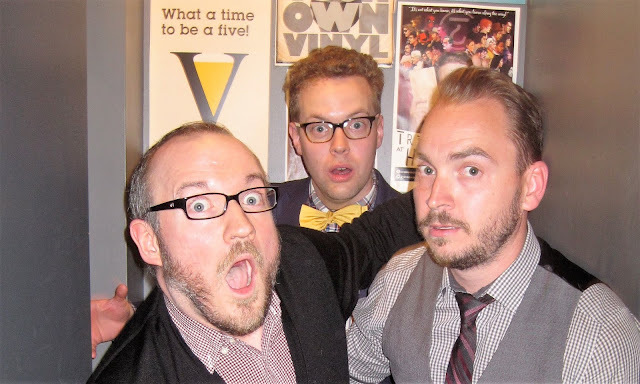 With Ego Nwodim joining the cast after our Cast Draft for Season 44, the Hartman Group had a Featured Redraft after the fourth episode of Season 44, or The Elvis Costello. The redraft not only gave participants a chance to draft Ego Nwodim after getting a quick look at her on the show but also swap out other draft choices with those who went undrafted. Three teams decided to keep their rosters the same, while Kyle Mooney was picked up after going undrafted originally, and Leslie Jones was dropped by both teams who originally drafted her. Adam Driver, who went undrafted this year, last hosted in Season 41 and was drafted by Leah S. and The Future Mrs. Randy Goldman. Awkwafina, who was drafted in the first round by Russel H. and Billion Dollar Murrays this season, gives Russel H. two hosts in the last three episodes of Saturday Night Live including the finale episode of season 43. The first correct pick in SNL 44 also equals the entirety of corrects picks (one) for the Murrays in SNL 43. Hartman Group has never drafted Seth Myers as a host in six seasons of SNL Fantasy League, but we did talk about him as a possibility this year and also, he seems like good people. Jonah Hill has hosted twice since we began the Fantasy League, with Leah S. and Five Timers Club drafting him in Season 39 and no one in the Hartman Group drafting him in Season 41. 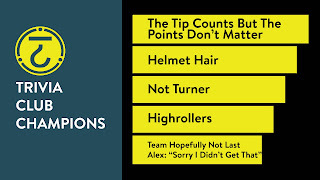 Matthew S. and The Ignorant Sluts drafted Hill in the eighth round for their first correct pick of Season 44. The top score on the Monthly Scoreboard for September 2018 as well as The Rec Room, goes to Rhymes with Regina, a duo that competed on September 18th at The Rec Room for the first of our two-part Anniversary Royale! With 163 points they gave themselves an early lead, but with Seattle calling (tossed salad and scrambled eggs) they would not be able to win the inaugural Grand Championship in The Roundhouse! 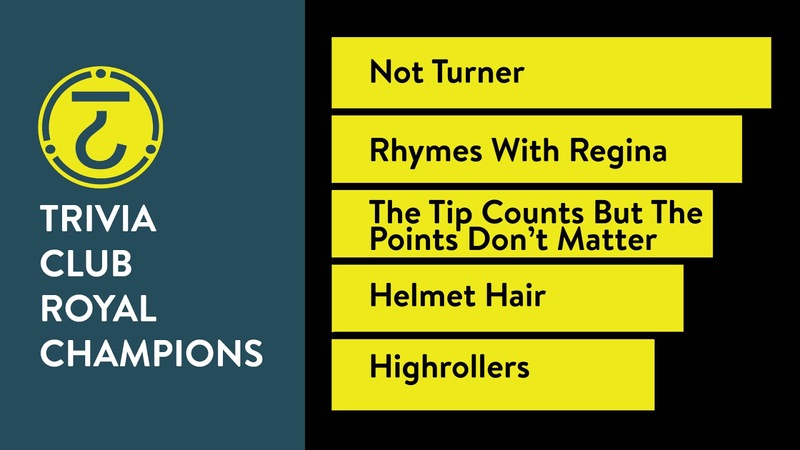 The twelfth and thirteenth highest scores of the month actually do belong to the inaugural Grand Champs at The Rec Room, Not Turner! 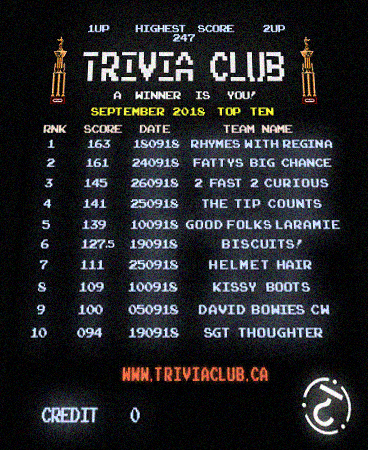 The high score at Hitch for September 2018 however, did belong to a Grand Champion, with Fatty's Big Chance aka Kissy Boots aka Smartly Pretty aka Matt & Pat getting not only the highest score on the east end of Toronto with 161 points on September 24th but also the score that would cement their win in Hitchens Cup V, the fifth Grand Championship at our Black Label location! The high score at The Ace took place at our last Trivia Club event of September 2018, which also happened to be our first and only event in the 'hood! 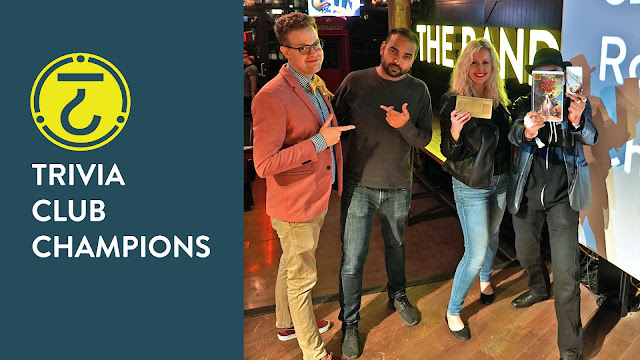 2 Fast 2 Curious returned to The Ace and scored 145 points on September 26th to become the sole west-end representatives on our Monthly Scoreboard! The high score at Farside for September belongs to Biscuits! who competed at the second event of the month on September 19th, and featured alumni from first Golden VHS winners SPARTACUS, scoring 127.5 points! 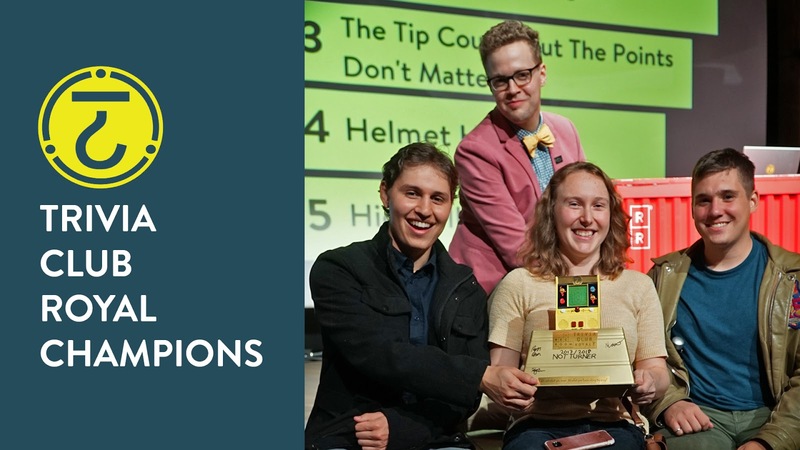 Teams that competed at The Rec Room, Hitch, and Farside each take up three spots on the Monthly Scoreboard, while The Ace as noted above has one representative! Seven of the Top Ten High Scores in September took place at different events. The Fighting Mongooses are notably missing from the Monthly Scoreboard, if you've been following along on our 2018 Top Tens! This breaks their eight consecutive appearance streak, a record, that stretched throughout 2018! How close were The Fighting Mongooses from making the list? The ELEVENTH highest score of the month belongs to The Fighting Mongooses, who scored 90 points on September 10th at Hitch during the first leg of The Hitchens Cup V! The Good Folks from Laramie Cigarettes with their 139 points on September 10th are making their first appearance on a Monthly Scoreboard since attaining the top two spots of January 2018! Both Shelby of the Shaym-Aliens and the M. Night Shaym-Aliens also see appearance streaks come to an end in September, at five months and three months respectively. Smartly Pretty, as Fatty's Big Chance and Kissy Boots, not only are the only team to make multiple appearances on the list but also make their second consecutive appearance on the Monthly Scoreboard! Also making their second consecutive appearances are 2 Fast 2 Curious and The Tip Counts But The Points Don't Matter! The Mean Team for September 2018, the team with the high score closest to the Monthly Scoreboard average is... Biscuits!! For the 17th edition of Trivia Club at Farside it was unpredictable affair that found old faces return to take on Wednesday once again, and to see what might our Friendly Neighborhood location might hold with Damn Akroyd behind the bar for the night and even a quietly significant local celebrity! Trivia Classic came to an end with Biscuits! leading the field. Biscuits! included a familiar face from SPARTACUS, the very first Golden VHS Champs! Behind them in second, after the first round, were Call Me By My Name, who had a one point lead on the Magic playing Five Card Studs which featured a gentleman visiting from out of town who just happened to have been the voice of Ralph Raccoon on The Raccoons cartoon, Security Guard Sam Crenshaw on Today's Special, and the one and only Grumpy Bear in The Care Bears! It was a pleasure to have Bob take part, and put his years of NTN knowledge to the test! Rounding out the field were the excellently named Sgt. Thoughter! Round two saw Biscuits! not only play the Game Show Games , but use some luck to their advantage as well, when they grabbed the TOP TEN in both Countdown Takedown and Survey Says! With Sgt. Thoughter gaining eight points in both game shows they moved from fourth to second in time for Combo Breakdown, though it was Five Card Studs who held on to go head-to-head with the tough Biscuits! The last team standing, doubling up on their Combo as well, were Biscuits! for an additional THIRTEEN POINTS and a strong lead heading into the Tri-Pardo round! Tri-Pardo , our third round, had Biscuits! choose the first question and roll for twelve, while Call Me By My Name chose the second question and rolled for TWENTY on the first try, and finally those Five Card Studs chose the third category and rolled for six points! This meant that thirty-eight points were up for grabs! No team would hit for the triple, but Biscuits! would answer the first two categories correctly for thirty-two points, while Call Me By Name kept within half of the lead teams total with twenty-six points from the second and third questions! Both Sgt. Thoughter and and Five Card Studs would answer the second question correctly, but both would lose points on the third and first questions respectively! Biscuits!, likely sensing their controlling lead, would only wager thirty of their points... which kept them far enough ahead of Call Me By My Name as long as they answered the Trivia Finale correctly! In fact, with Sgt. Thoughter also going all in... it was all the more important that Biscuits! answered the Finale correctly to solidify the result in their favor! Finishing the night as runners-up? Sgt. Thoughter with an impressive 94 points! Going from post to post however, and never the result slip away... and picking up where he left off on Wednesday's as SPARTACUS... winning their FIRST GOLDEN VHS at Farside on 127.5 points... BISCUITS! Congrats once again to Biscuits!, and thank you to everyone who came out to compete at Farside this past Wednesday! We'll see you all again in TWO WEEKS time on October 3rd for the next edition of Trivia Club at Your Friendly Neighborhood VHS haven!